Walter Gropius (1883-1969) dreamed of combining craftsmanship with art. The then existing gap between art and craftsmanship had to be bridged. From this vision Gropius founded the Bauhaus in Weimar in 1919. It is the combination of the Hochschule für Bildende Kunst and the Kunstgewerbeschule Henry von de Veldes. Walter Gropius wanted to create the connection between architecture and art. The influence on art design and industrial design can still be observed today. Large surfaces, functional forms and striking geometry. In 1925 the Bauhaus moved to the city of Dessau. Walter Gropius himself designed the new building, which was inaugurated in 1926. The glazed workshop wing was a real highlight and was clearly visible directly on the street. On Gropius' recommendation Hannes Meyer took over the office of director in 1928. Two years later the architect and designer Ludwig Mies van der Rohe took over this post before the Bauhaus had to be closed two more years later, in 1932. In the last year of the war, 1945, parts of the Bauhaus were destroyed. It was not until 31 years later that the building was to be reconstructed. 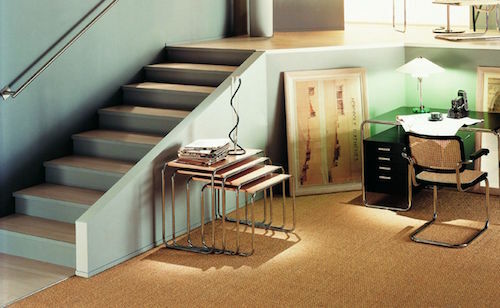 In the Dessau Bauhaus, van der Rohe, Stam and Breuer designed furniture from tubular steel. The new material was ideal for a very specific type of chair - the cantilever chair. With the emergence of the cantilever chair, cooperation with industry soon followed. 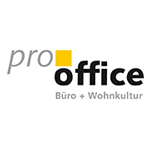 In the pro office Shop you will find original Bauhaus designer furniture from renowned manufacturers such as Thonet, Knoll International, ClassiCon and more. Many of the design designs created in the 1920s by Marcel Breuer, Mart Stam or Ludwig Mies van der Rohe have gone down in history as furniture classics.